Posted in: Uncategorized. Tagged: blue Peter, Carrie Fisher, mark hamill, star wars. 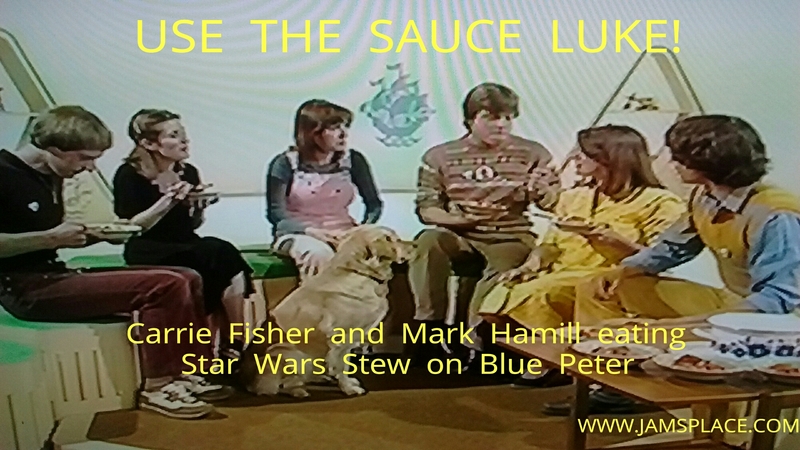 Photo of Mark Hamill and Carrie Fisher on UK kids TV show Blue Peter eating #StarWars Stew!